Liverpool midfielder Lucas Leiva was full of praise for his teammates yesterday, as he discussed the impressive performances of Lazar Markovic and Philippe Coutinho following the Reds’ 1-0 win over Sunderland. Markovic scored his first league goal to clinch the three points, while he also hit the crossbar and was denied what looked to be a clear penalty in the first-half. “There’s no doubt he’s a very young player and people usually judge players after one or two months,” Lucas told Liverpool’s official website after the game. Lucas also complimented his fellow Brazilian Coutinho, who impressed yet again on Saturday, at the end of a week where he was declared the winner of Liverpool’s Player of the Month Award for December. 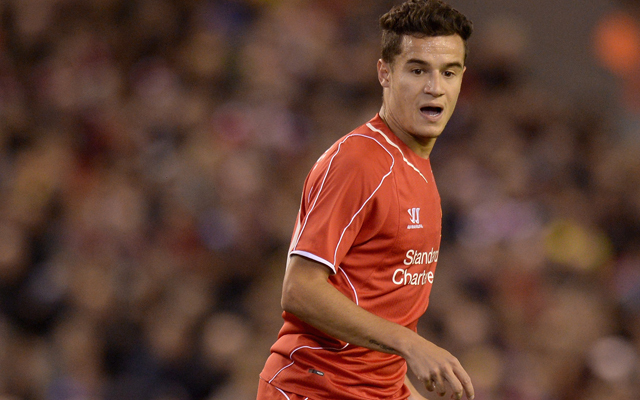 “I think Coutinho can get anywhere he wants,” said the defensive midfielder. “His quality and his movement and his final pass. Philippe has been here for two years now and you can see he will only get better.